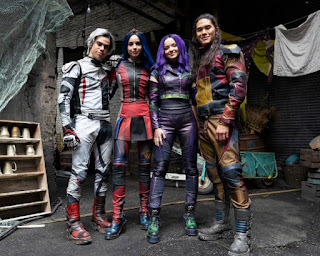 So, untill we get more clues on Celia, Squeeky and Squirmy so I can make theories about their "other parents" this is my first Descendants 3 theory post. It's about what the plot will be about. Since the characters don't appear to be much older, I assume the story takes place less than a year after Descendants 2. 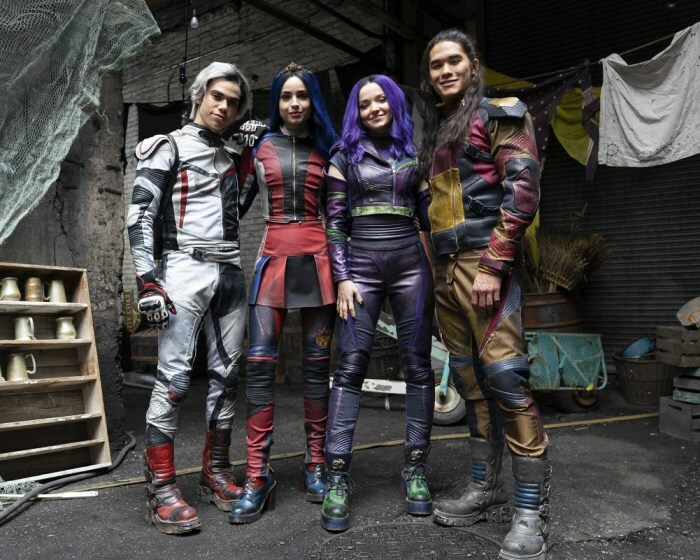 But because of Chad's new hair and all the new features like vehicles and clothes it can't take place right after Descendants 2. 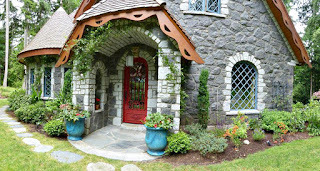 To distinguish I'll call the upper one the Tudor cottage and the lower the Cobblestone cottage. 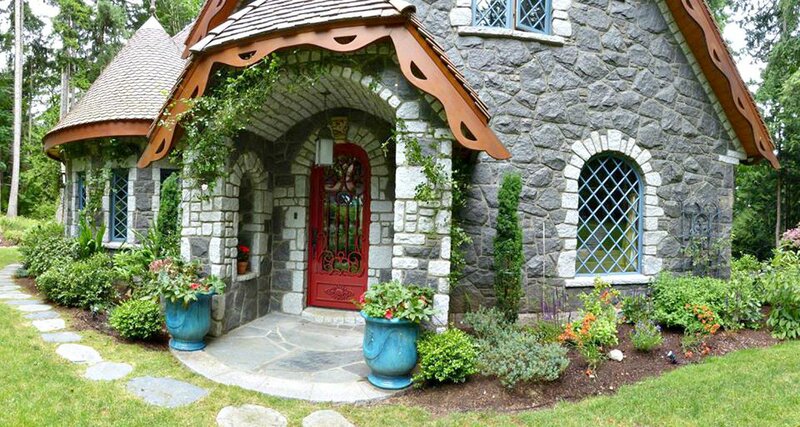 My belief is that the cobblestone cottage is actually where Fairy Godmother, and her daughter Jane live. 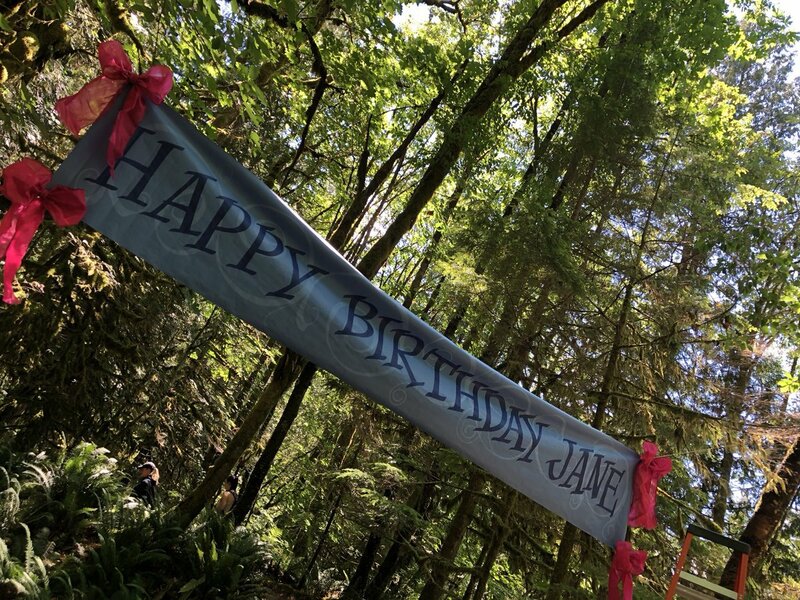 In the past I always assumed it was somewhere at Auradon Prep but now with Jane's birthday in the forest near that exact cottage. 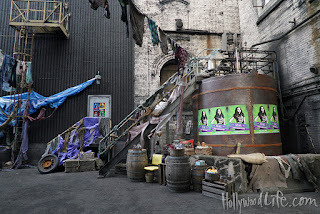 It's from the official youtube account of Disney Descendants. I just figured: it can't be on the Isle because it's in a forest. So why is it all gloomy and mysterious with fog and red lights? I believe that Mal is afraid of becoming either a villain or a vulnerable princess in Sleeping Beauty's shoes. 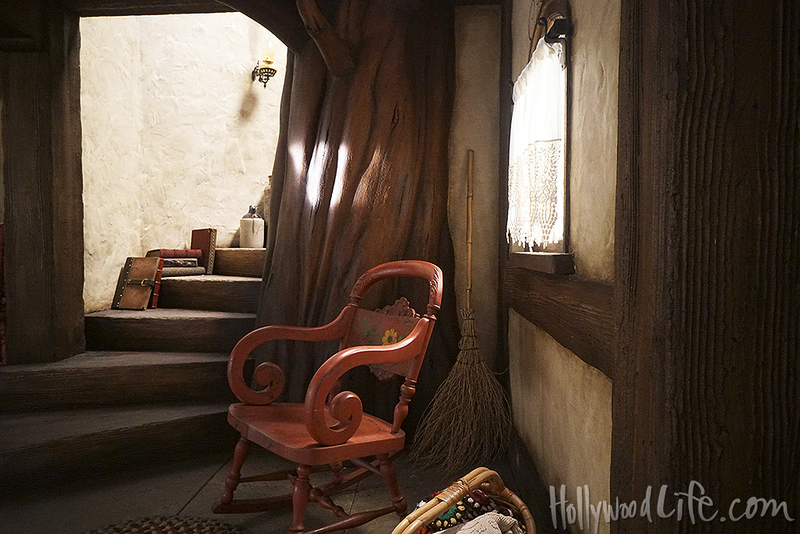 The tree in the middle of the house just gives it the same vibe as Aurora's cottage in Sleeping Beauty. Maybe it's there she dreams of Audrey turning into Maleficent? That doesn't explain Chad being in her dream as well, though. Number 4: Is Audrey evil? 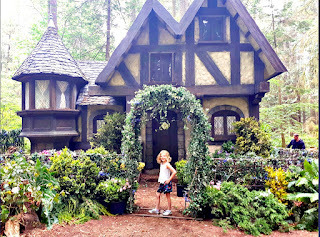 So Audrey being dressed up like Maleficent really stirred the Descendants fandom. My previous idea was that she appears as Maleficent in Mal's nightmare, but that doesn't explain Chad. What I do know is: she's wearing a costume. The staff she holds isn't Maleficent's. In Descendants we see it being a different shade of green and besides...according to the books, anyone who touches the staff would sleep 1000 years unless he or she is related to Maleficent. 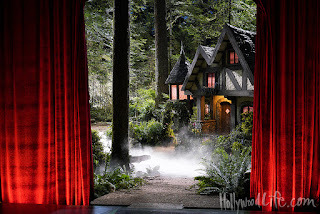 Aaaaaannnd, the staff disappears in the end of Descendants 1. When Maleficent turns into a dragon, the staff turns with her and is gone. It's still gone when she turns into a lizard and isn't mentioned as being in the museum like all other magical things in Auradon in Descendants 2. My new idea is: For Jane's birthday, Audrey insists on performing as Maleficent in a play probably featuring some other descendants as well, but Maleficents spirit takes over Audrey's body. When Chad comes to check on her (he plays Prince Philip) he realises what happened and is like: oh shiiiiiiiiiiiiiit. Number 5: What happened to the Isle? 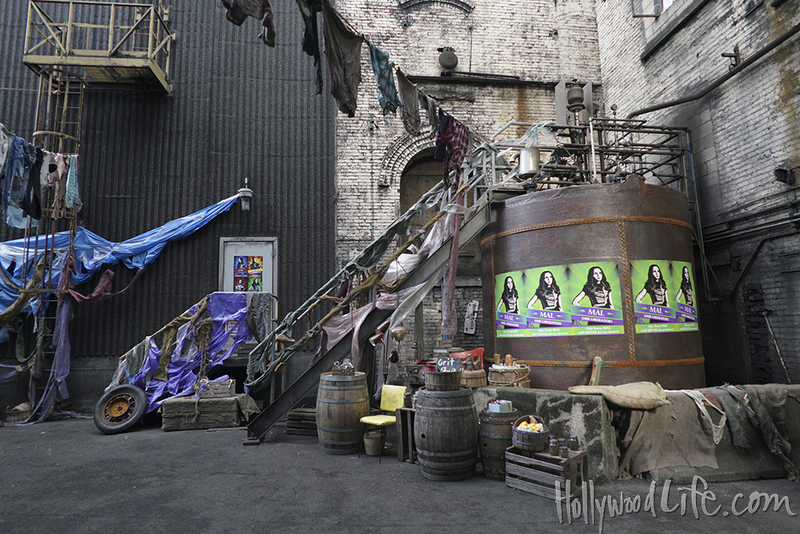 The posters are a little hard to read but I think the five on the right say: "MAL: choose [unreadable]"
There are four posters on the left of Mal, Carlos, Evie and Jay. I think that these are posters by Auradon to inspire VK's to choose goodness. In this photo, if you tilt your head 90 degrees to the right, you'll be able to read: "Evie's alley" on a brown sign. I think this is either something Mal and Evie made before Descendants, or something she got after helping more VK's get to Auradon Prep as a special honour. I hope it's the second option. So that's all I have. If I can think of any more theories or options for the movie, I'll let you know. 'Till then!